SEOGWIPO, Jeju Island -- To foster larger growth of electric vehicles, new business models must be cultivated, such as by expanding the leasing market as an alternative to diminishing subsidies and tax benefits, experts gathered for an international forum on green cars pointed out. Tax reductions and incentives have driven the growth of electric vehicles around the world. But authorities phasing out such benefits have nearly “killed the market,” and inconsistent tax policy on electric vehicles has customers hesitating, said Laerke Flader, head of the Denmark EV Alliance, at the Global EV Association Network Forum held Tuesday afternoon. In 2015 for instance, the liberal government in Denmark said it would phase out tax breaks on electric cars, citing budget constraints and making the market “fair” to all. Electric car dealers had been exempted from import taxes of 180 percent the Danish government applied to foreign cars with traditional combustion engines. The government later decided to postpone the phasing-out plan as the sales of green cars plummeted in contrast to high sales of zero-emission cars in neighboring Nordic countries, including Sweden. The Danish case suggests customers are less attracted to green vehicles without some form of tax benefits or state subsidies. And South Korea has been no exception. Amid rising concerns over the shortage of state money on electric vehicles, the Ministry of Environment here revised its subsidy system that grants differentiated state money depending on battery capacity on a first-come, first-served basis. The government had offered 14 million won ($13,000) for each electric vehicle purchased until last year. Electric vehicle sales are expected to total 49,630 units this year, from 13,826 units sold last year. The Seoul government has allocated 240 billion won, enough to subsidize 20,000 such new vehicles. 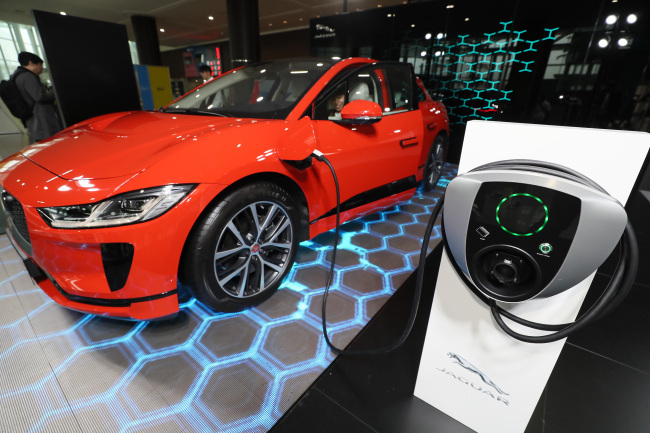 To keep customers’ interest in green cars high, new business models are needed to overcome tax issues, said Gabriela Ehrlich, global head of Public Affairs and Advocacy for the Geneva-based International Electrotechnical Commission. Flader and Ehrlich were panelists for a forum held on the sidelines of the fifth International Electric Vehicle Expo. 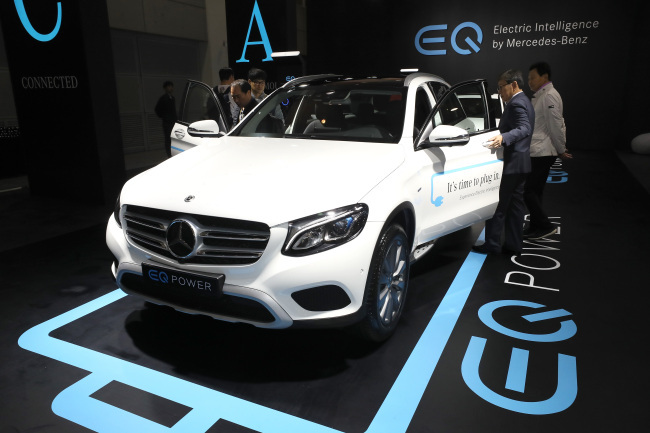 The forum, also known as GEAN, currently has members from more than 30 countries around the world, said Kim Dae-hwan, chairman of the Electric Vehicle Expo organizing committee. New technologies regarding electric vehicle businesses were also introduced at the forum. South Korea’s state-run electricity supplier Kepco said it is developing a mobile charging robot, the first of its kind in the world. In a joint venture with local company Moderntec, the charging robot moves back and forth along a wheel rail and inserts the charging gun automatically, using a 3-D camera, said Hwang Woo-hyun, senior vice president of Kepco Jeju. “This robot charger is more practical than existing devices (developed by) Volkswagen or Tesla, and you don’t need human hands when charging the EVs.” The German carmaker and US carmaker have similar devices, but the robots are not designed to move, charging the vehicles one at a time. Kepco also plans to build a charging tower in Seogwipo, in the south of Jeju Island, to charge a number of vehicles simultaneously with electricity generated from solar panels and wind turbines to be installed at the building.